This pack conveniently provides the pre-cut papers and acrylic cutting templates needed to complete the pictured pattern. The clear instructions make this easy for a beginner to English Paper Piecing. Make the design as large as you want. 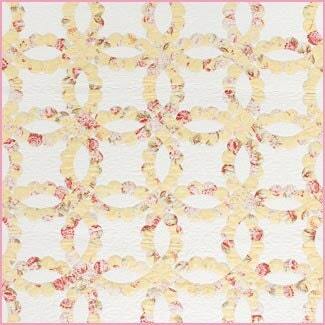 Use it for a quilt centre, corner motifs or centre it on blocks to make a whole quilt. Then make a cushion to match! Additional pre-cut papers can be purchased separately.